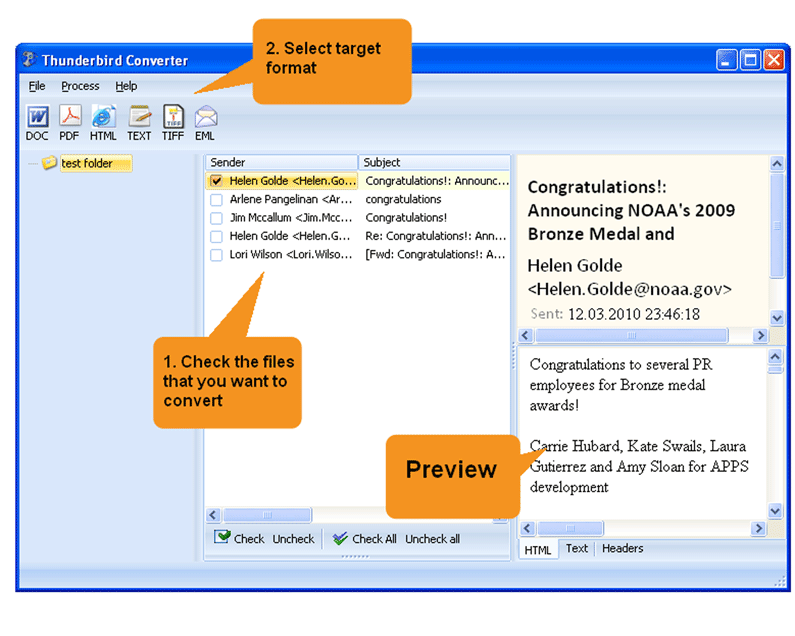 Total Thunderbird Converter Pro is a new utility intended for converting Thunderbird-generated emails to PDF, TXT, Word, HTML and TIFF. Purchasing this Thunderbird email converter will end your dependence on Thunderbird email client and give you a lot of freedom and convenience when it comes to converting emails. Total Thunderbird Converter Pro features an option, which enables you to convert attached files as well to the formats mentioned above. Also, you can style your output files using a variety of fonts and colors. The interface and the wizard of this program are arranged in a highly intuitive way, so that you will not get confused when choosing settings for your output Word documents. As you can see, you do not need to attend a course to understand how to export emails from Thunderbird to Word. Launch Total Thunderbird Converter Pro, select the folder with Thunderbird files and check the one(s), which you need to export to DOC. To activate batch conversion, press the Check all button. When necessary, view the convents of your source files in the viewer panel on the right. Select the destination folder for your output Word files. 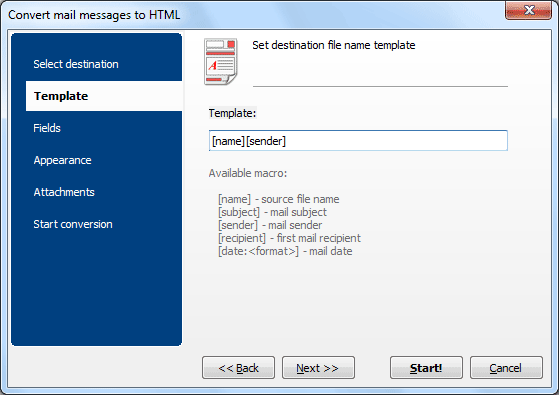 Set the destination file name template. Check the fields, which you want to export. View attachment options and check the needed ones. Select Start conversion and review the settings, which you have just specified. If you find something that you want to change right now, go back to it and set it the right way. Press the Start button to launch the conversion. If this description has aroused interest in you, you can download the free demo version of this product and test it on your Thunderbird emails. 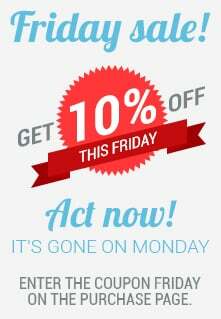 This version is valid for 30 days only, so you will need to buy and enter the keygen to activate the program after the trial period expires.